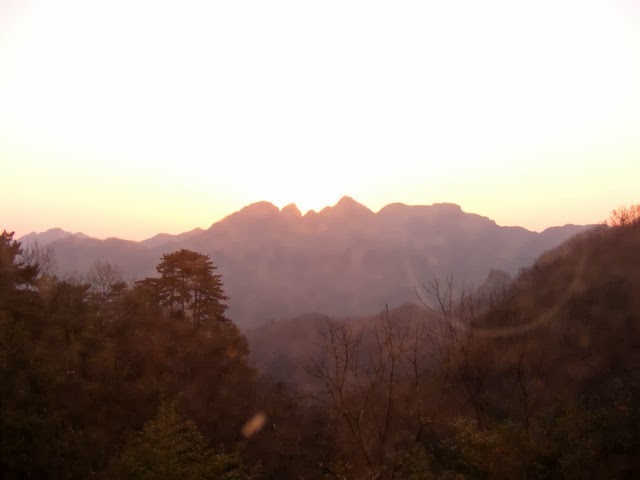 We took one last look out our hotel window in Wudang before heading out on a journey that would find us in Roma a week later. 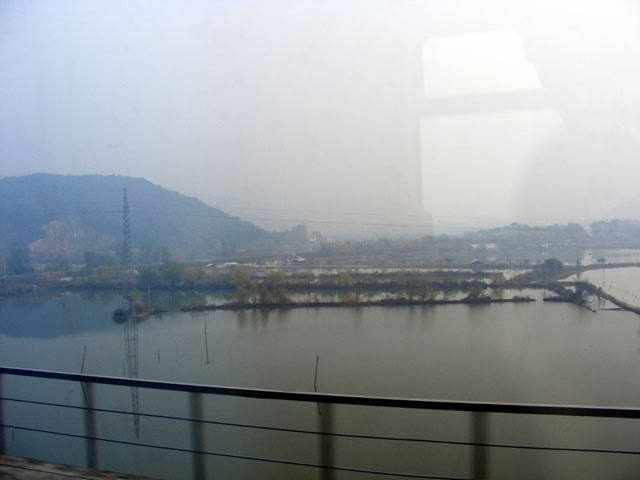 It started off with a 26 hour train ride from Wudang to Shanghai. Enough time for a night's sleep and some work time. Also, lots of smoggy countryside. It looks like it might just be foggy, but don't be fooled. 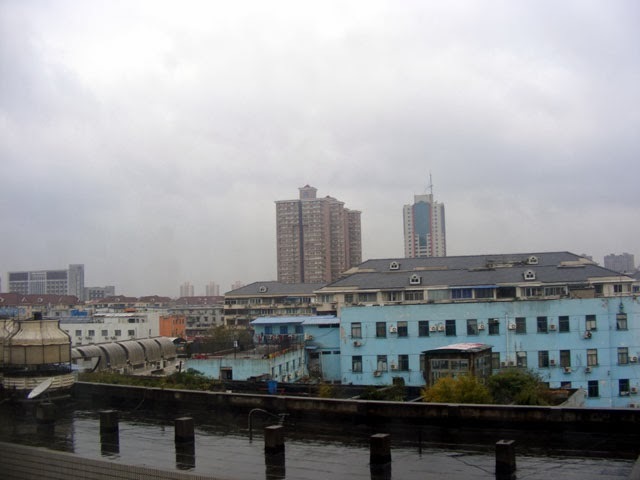 We were lucky enough to get to Shanghai a couple days after they had reached record pollution levels. It was still bad, but nothing like they had a few days before we arrived, we heard visibility was down to eight feet. When the pollution subsided a little, we saw a whole skyline of buildings that you can't see here. We had a few days to kill in Shanghai so we saw some of sights we had missed our first time around. 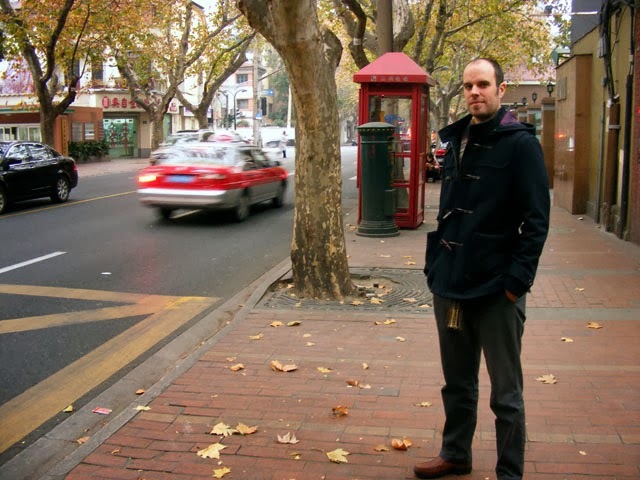 We walked around the French Concession, which was one of the nicest city atmospheres we found in China. 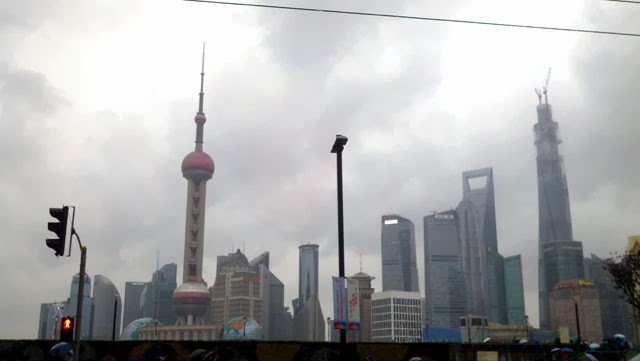 We also went to the Bund and saw the world famous Shanghai skyline. We were ready to leave China as we headed to the airport to catch a plane to Bangkok. 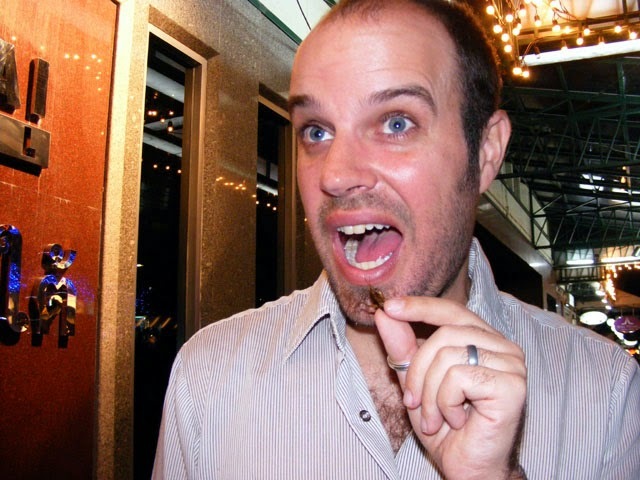 We had a one night layover there before we headed to Roma, and we decided to turn it into a "One Night In Bankok," type of night, with the Murry Head song as our anthem. First up was to knock some things off of the Adventure List that we forgot to do our first time around. 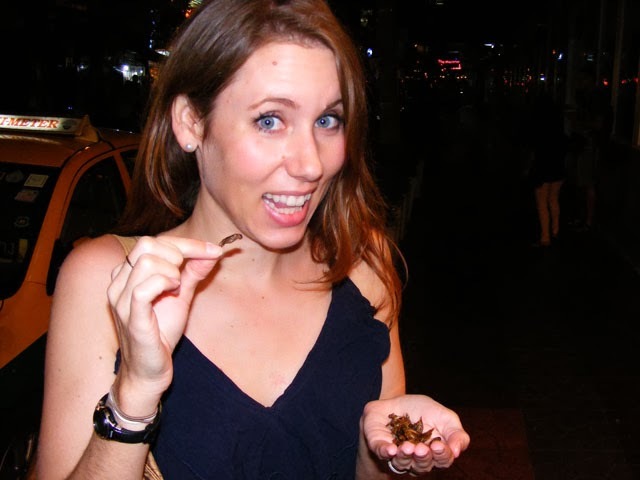 So we started off by eating bugs - crickets to be exact. 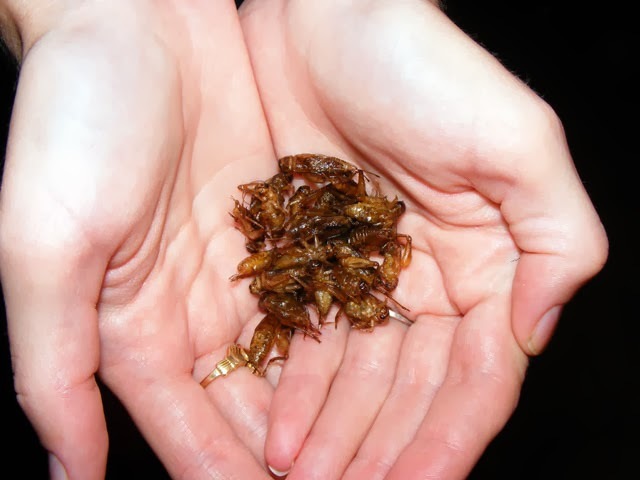 Just another handful of crickets. They didn't taste very good, mostly like cardboard, so we had our fill and deposited the rest in the closest trash receptacle. Next up was getting Maggie a tattoo, a Henna one. 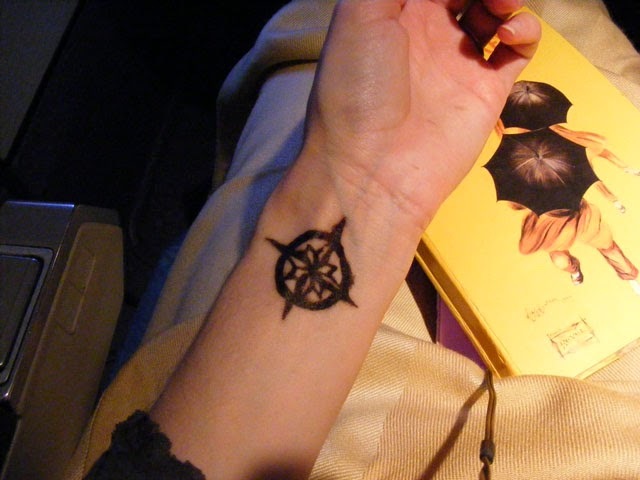 She had decided on a compass, something that plays prominently in her book. 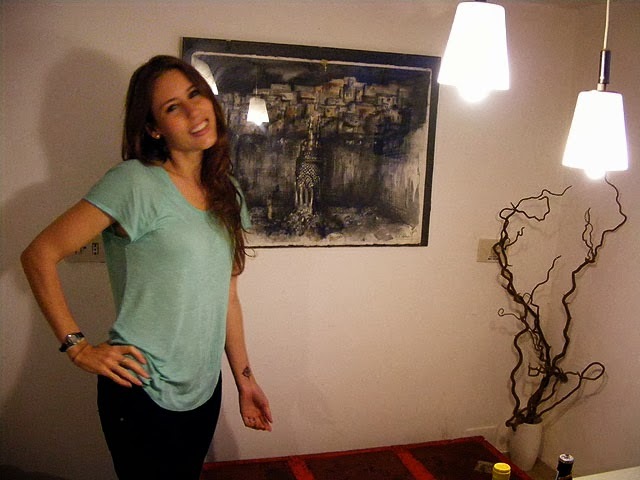 See the compass on her wrist? So after night filled with Khao San road, Archa beer and Hong Thong whiskey, we woke the next day and boarded a plane to Rome, with what was supposed to be a quick layover in Colombo, Sri Lanka. Upon boarding the plane to Colombo, we were treated to quite the surprise. We had been upgraded to Business Class (which is First Class on this airline). We have no idea why. The only thing we could think of was that on a plane full of Sri Lankans and dirty backpackers, we looked the most respectable (we try to always look nice for flights for just this reason, but it's never worked before!) - but who knows. 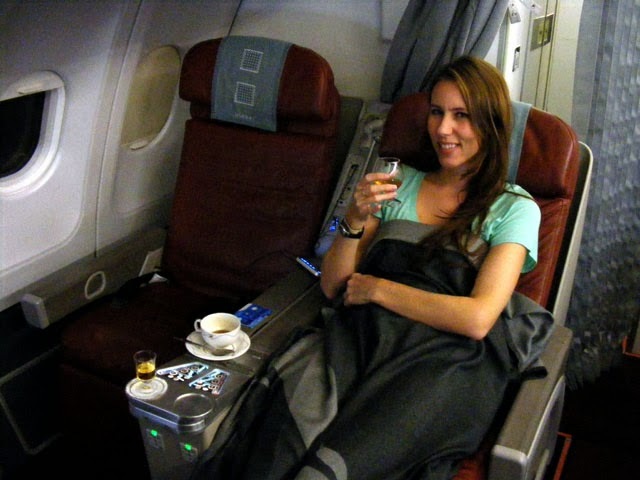 It was both of our first time flying International Business Class and we lived it up. 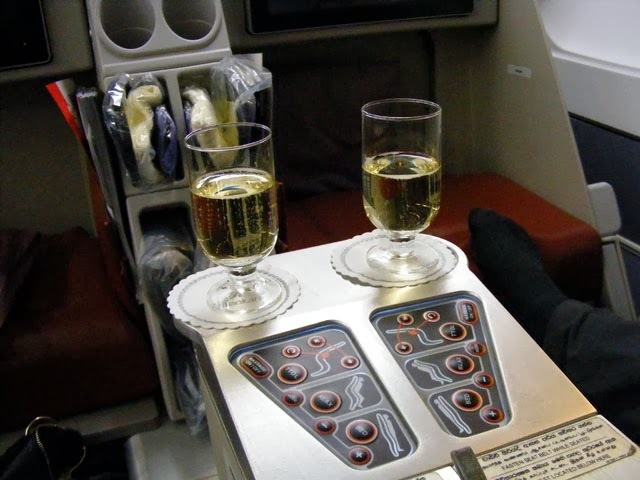 Champagne before takeoff, seats that turned into beds, a fancy diner on plates, glasses of cognac, we did it all. 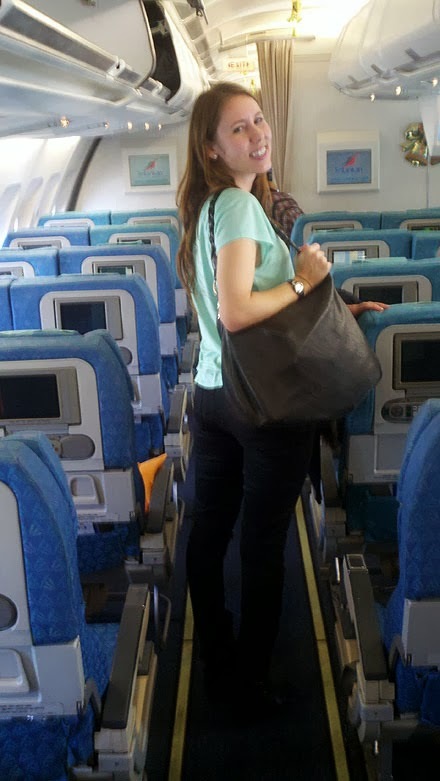 We never wanted to leave the plane when we landed in Colombo. 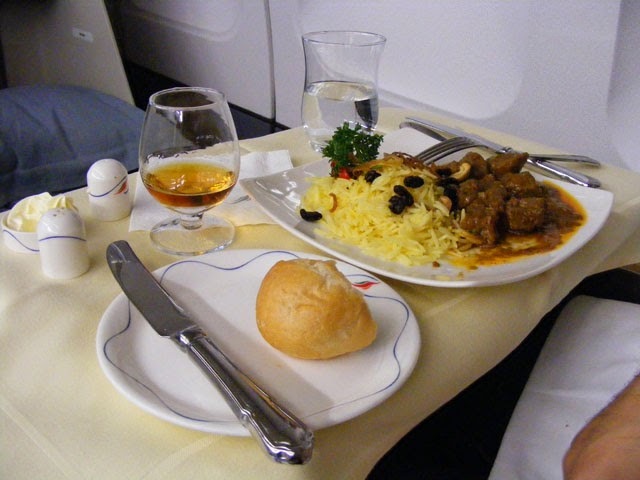 We doubted it would ever happen again and after you've tasted first class, it's hard to go back to the ruffians in coach. But we finally got off, only to find out that our one hour layover had turned into an seven hour layover. 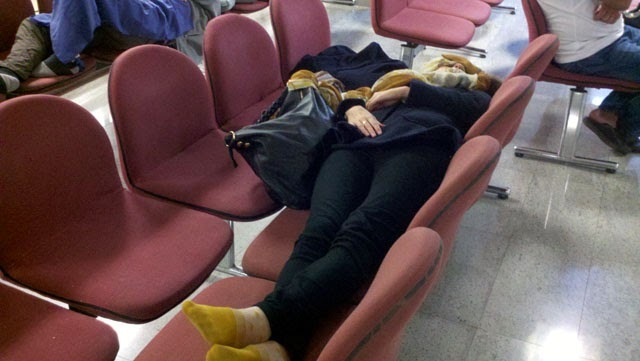 It was 1am, which meant the plane wasn't leaving until morning, so from our luxurious beds in first class, we were now relegated to pushing two benches together to finish our nights sleep. How the mighty had fallen. It turned out to be not completely awful, though, and after a better night's sleep than we expected, we boarded the plane to Rome. We lucked out and the plane was fairly empty. 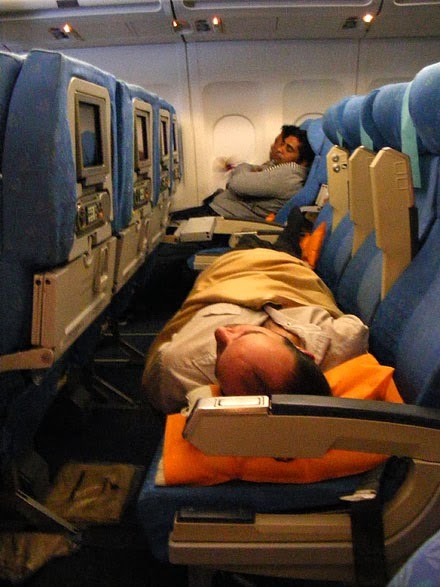 This allowed Andrew to commandeer an entire row to polish off his beauty sleep. 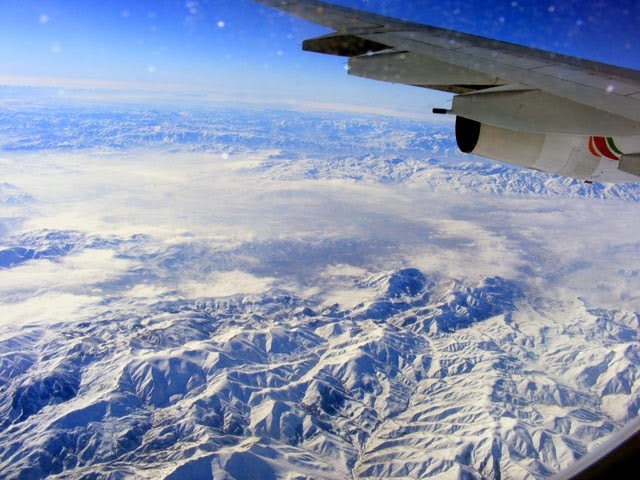 Maggie, who always gets enough beauty sleep, took some pictures from the plane as we passed over the Middle East. Then finally after many days of trains, planes and a few tuk tuks, we made it to Roma. Maggie didn't look any worse for the wear. Unlike Andrew, who you'll notice we didn't take a picture of when we arrived.